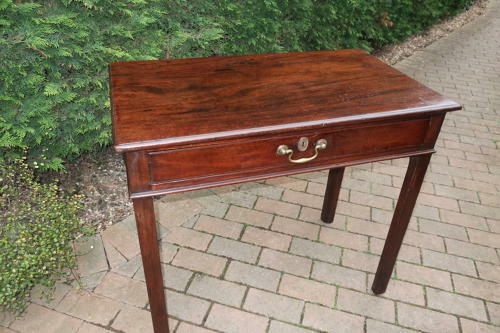 A classic George III mahogany side table with a single drawer, all on four canted legs. Excellent condition and good warm colour. A very practical little table with simple lines which could fit in multiple locations.